Great idea I could do with one of those I'm always losing mine might give it a go. Oh Jaime, why do you pick such beautiful colors? I wanna pinch your cheeks for that. They're so cute!!!!! Superlike! 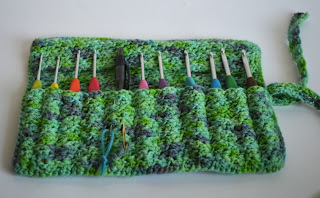 I started making a crochet hook case 2 years ago but until now I haven't completed the division to the hook compartments. I just used it anyway...unfinished. I just turned 38 about 34 mins ago. :) I love this project, so cute!!!! Thanks for sharing!!! Congrats, Katie! Happy belated birthday! Hi There, Thank you soooo much for the tutorial!!! Will definitely be making one!!! My old one has a broken zip and has simply seen better days!!! Have a wonderful weekend!! Thanks, AMarie! You're welcome so much! The hooks are so cheery and bright! I have a set of wooden ergonomic hooks that I bought off a woman on etsy who handcarves them. 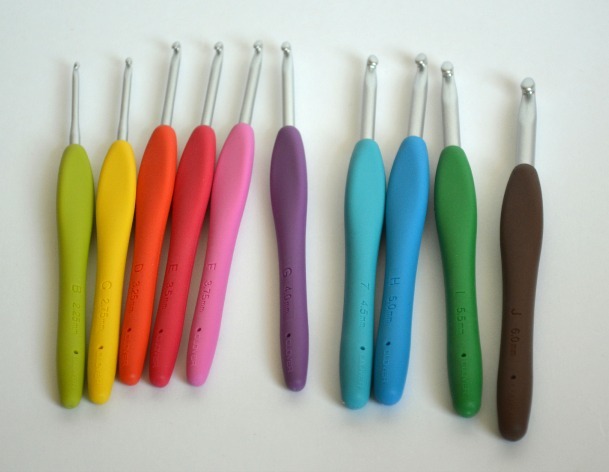 Ergonomic hooks really do make a world of difference when it comes to comfort and long crocheting sessions. Thanks for the case pattern! I'm pinning that! Thanks, Amber! Wooden ergonomic hooks sound awesome! My husband tinkers around with whittling, but he hasn't gotten around to ergonomics yet. I'll have to make him remedy that! LOL!! 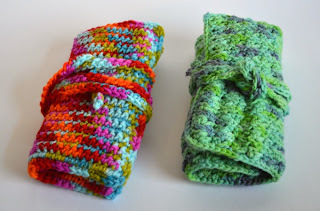 Those hooks look so fun, and what another great use of your hand-dyed yarn! Fabuloso! Thanks, lady! I thought so too! Love the crochet hook case. Going to try one. Question on the hooks.....sizes B-K are in the 10 pc set? Thinking of getting a set but at that price I don't want to buy extras to get what I need. Hi, I ordered my set of Amour hooks yesterday and cant wait for them to arrive! The case pattern will be my first try! 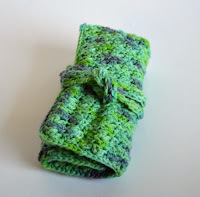 I made one of these, but I lined the inside cause the hooks kept falling thru the stitches. 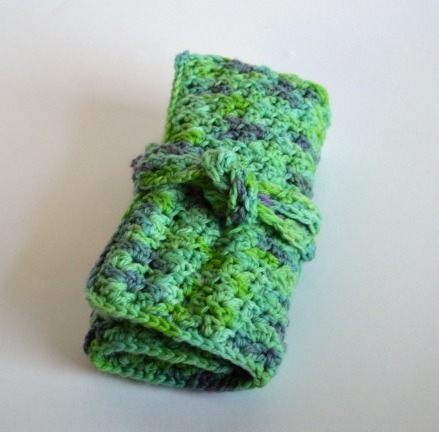 I just finished making the crocheted case for my new Amour hooks. Thank you for sharing your great pattern!